The United States Of Kale! Canned chopped spinach? mmm I don’t think so…especially when there are so many gorgeous fresh greens we can buy for our green smoothies- like kale. 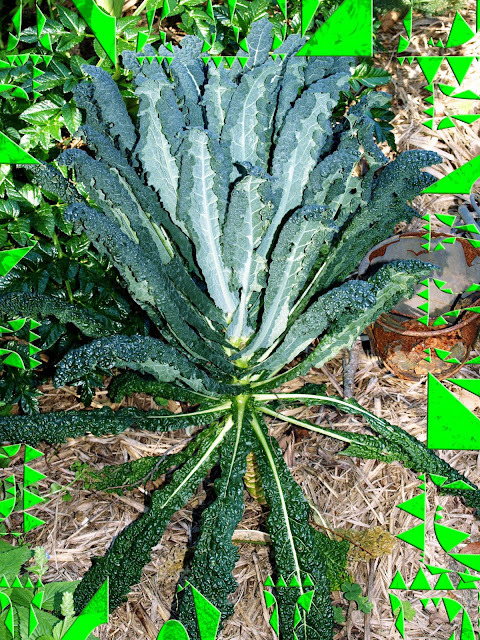 Kale’s in season now which is exciting for green smoothie makers- the cold and frost makes it sweeter. I had never seen or heard of kale until a few years ago when I started drinking green smoothies and discovered the world of greens. During WW2 the growing of kale and greens in the U.K. was encouraged by the Dig For Victory campaign where people turned their gardens into the only source of fresh produce available because of rationing. Kale was easy to grow and highly nutritious- interesting how after the war in the 50′s/60′s food processing, supermarkets and fast food really took off so less fresh food and greens were eaten- and diabetes, cancer and obesity levels started growing. Kale is the absolute standout super green- it has double the amount of calcium when compared to broccoli or silverbeet. Packed with chlorophyll, iron, vitamins C & A, it is also one of the best plant sources of sulphur which prevents the accumulation of waste body toxins and is an excellent blood purifier with antiseptic effects for the whole digestive tract. Cooking destroys quite a few of these benefits so the best way to have kale is drink it in your green smoothie. 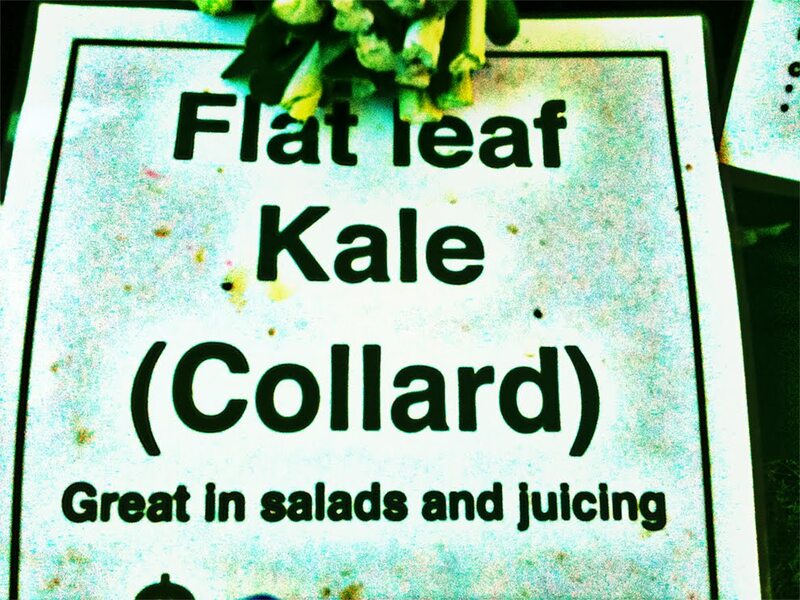 There are quite a few different types of kale which can be confusing. The most greenest one as in the most nutritious is the dark almost black fibrous kale which is sold as- Tuscan kale, dinosaur, cavolo nero, black cabbage, black kale, lacinato, Italian lacinato, black cabbage, black leaf kale, black palm, black tuscan palm tree, Tuscan black, nero di Toscana…here’s some dinosaur kale growing in the Herb Farm Mudgeeraba Gold Coast Queensland and for sale at local markets as black cabbage. 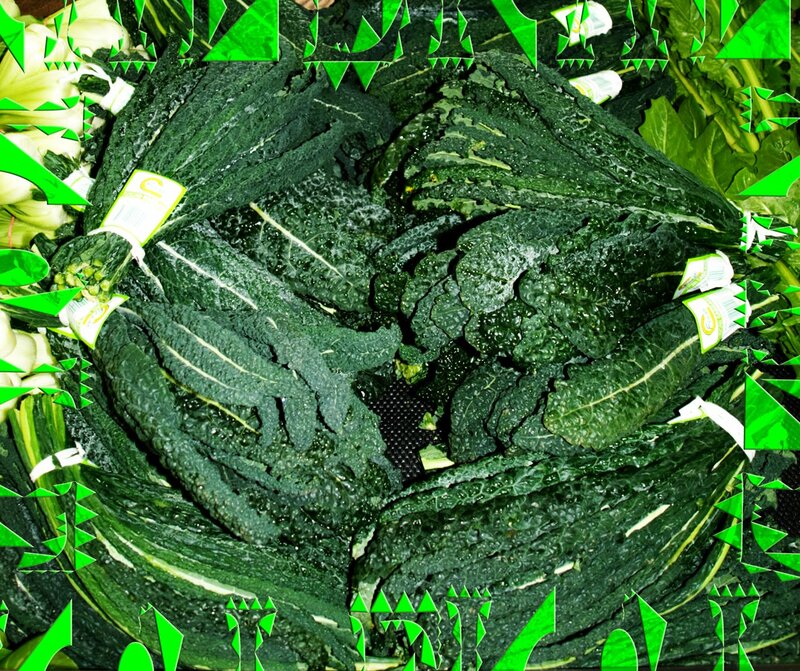 Curly kale is sometimes called Scottish kale- where kale was a big part of the traditional diet that the saying to be “off one’s kale” is to feel too ill to eat! I buy this at the farmers market in a huge bunch- it has really fibrous hard stems and is not as strong tasting as the dinosaur kale. Russian red kale at the Herb Farm Mudgeeraba Gold Coast Queensland-this is also called redbor kale and can be purple or gray-green with pointy or rounded leaves like dandelion and it has red stems. 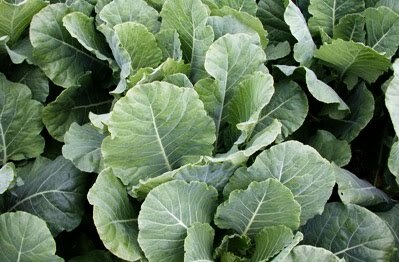 Flowering or ornamental cabbage is actually kale and is edible as long as it hasn’t been sprayed. 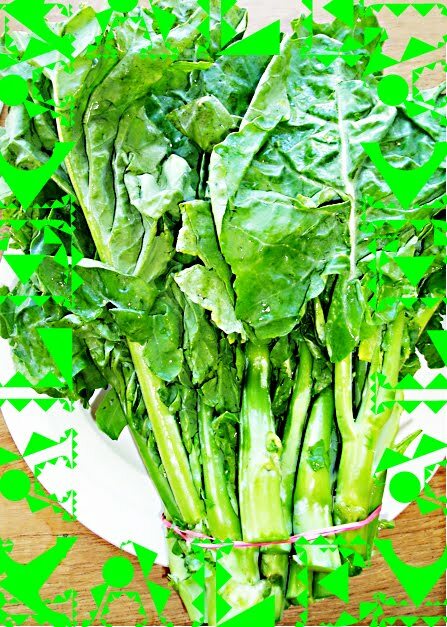 I haven’t seen this for sale at the markets as a green-only at plant stalls.This is kai-lan, kai-ann, jie-lan or gai-lan Chinese kale- sometimes known as Chinese broccoli or leaf broccoli. and last but not least flat leaf kale -also known as collard greens. The only place I’ve seen this on sale was at the Miami Gold Coast Organic Markets. Yes great in salads and juicing but even better in green smoothies! 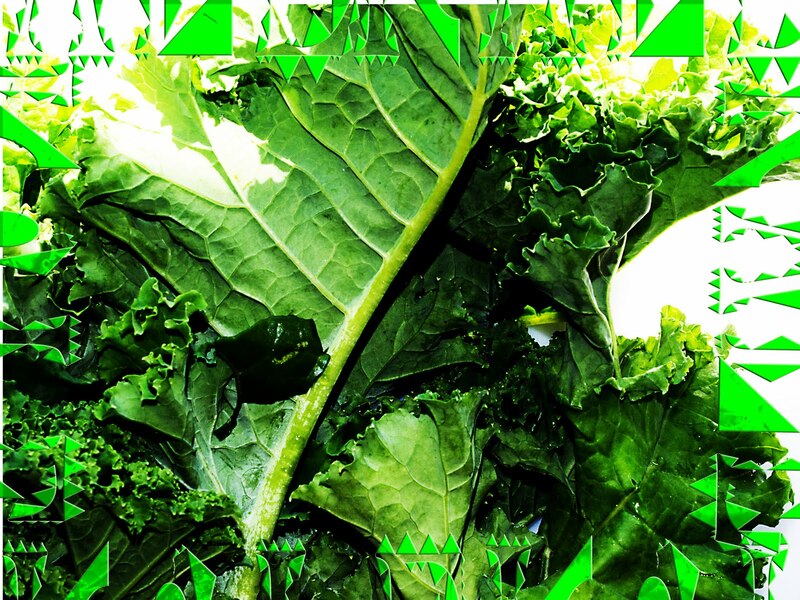 Because kale is so nutrient rich it can be strong tasting if you use it as your sole green. Start off with a few stalks with some milder baby spinach and work up to using more. Passionfruit, a whole or half a lemon with the skin, lots of frozen banana, ginger, stevia natural sweetener and lime help make it tasty-enjoy! 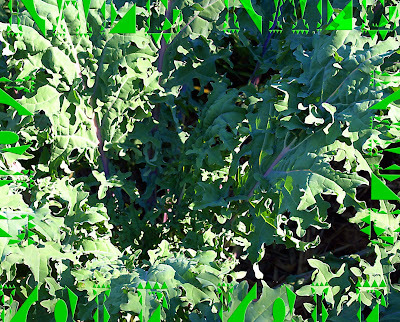 Thanks for all the information on kale – my local supermarket sells a variety of organic kale which is great. I like to add parsley to my smoothies too. You’ll be pleased to hear that I have introduced lots of friends to green smoothies and they are loving them! I’ll hae to try passionfruit – we just picked about 40 from our own passionfruit vine yesterday!